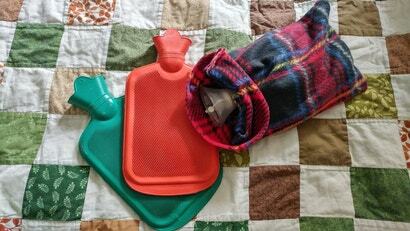 If you don't have a hot water bottle at the foot of your bed as Australia heads into the colder, rainier months, I'm begging you to reconsider. Sure, you can wear warm socks or tuck your feet under a human or canine companion. But dogs don't stay in place, and people tend to shriek "Eek! Your feet are cold!" before rolling over and stealing your covers.